What differentiates Jacobsen from his illustrious contemporaries was that his designs were at the forefront of a specifically Scandinavian design movement. Without question, he borrowed from international styles, but the Modernism he helped to pioneer was a distinctly Scandinavian version. 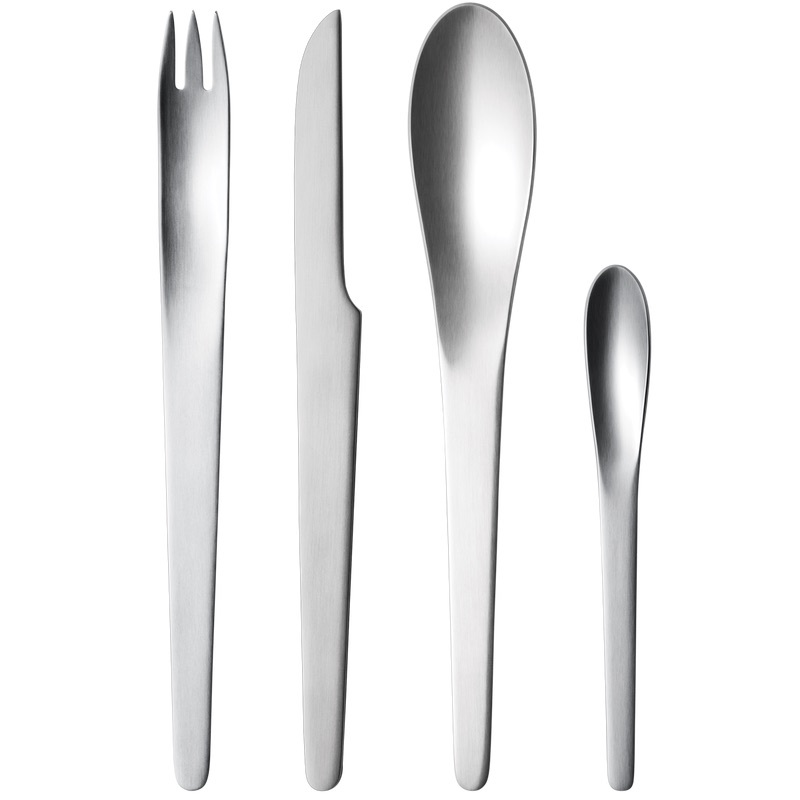 Among the highlights of his impressive career, two moments stand out: his 1957 introduction of a line of cutlery for Georg Jensen and his design of the SAS Royal Hotel in Copenhagen in 1958. The 1958 unveiling of the SAS Royal Hotel in Copenhagen garnered worldwide attention. In an unusual move, he was commissioned to design both the structure itself and its interior. The final product shows an amazing and rare cohesion of exterior and interior design. A number of pieces that debuted as part of the hotel interior went on to become classic design objects in their own right. The ARNE JACOBSEN candleholder, which is available from Georg Jensen, consists of three connected spheres. Its shape was inspired by Jacobsen’s iconic “Egg” and “Swan” chairs, which were part of the original interior design of the SAS Royal Hotel. Arne Jacobsen made lasting contributions to Georg Jensen as well as international Modernist design. 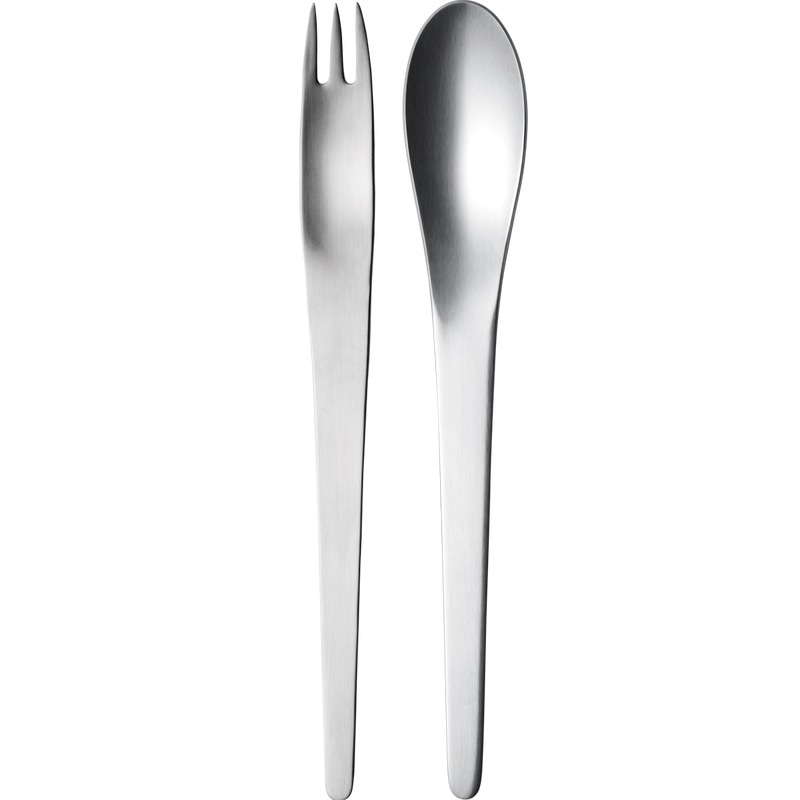 Designed in 1957, Arne Jacobsen's cutlery was revolutionary. With extremely simple and bold lines, it was unlike anything that existed at the time. 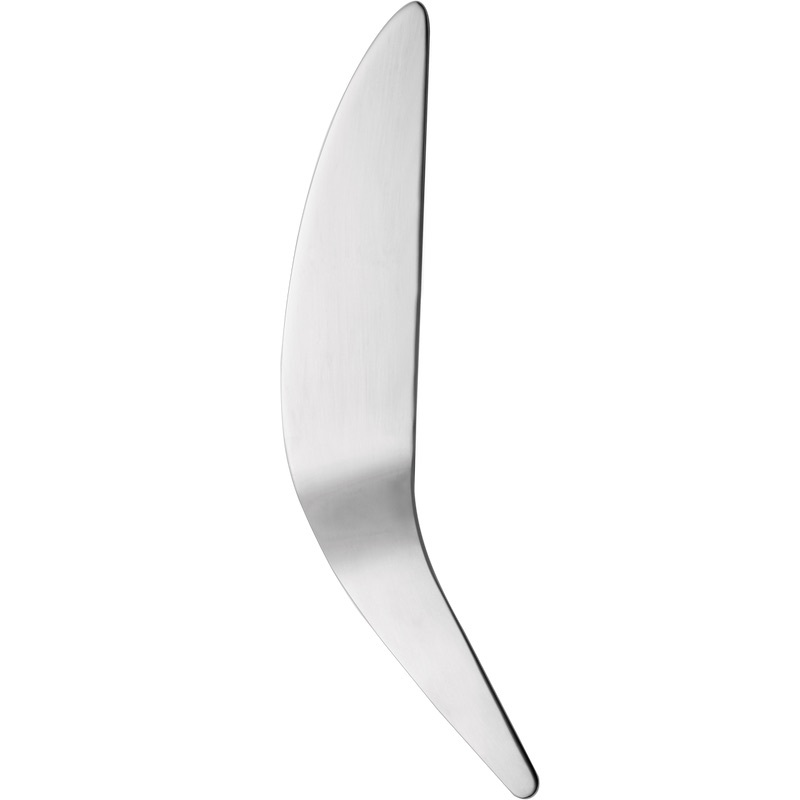 It was a departure from Georg Jensen’s earlier styles and made a huge impact in the design world at its debut. His Functionalist approach went on to dominate much of design in subsequent years.